Jean-Francois or simply ‘John’ joined Cad & The Dandy to officially launch and run the USA business. 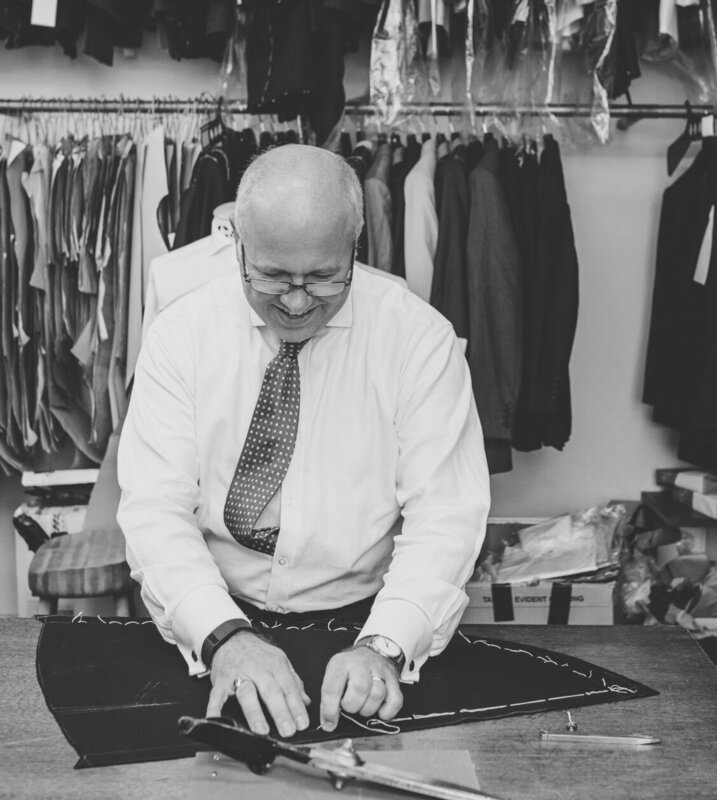 He spent most of his career finance but has always had a deep appreciation for classic tailoring, having been a customer of Savile Row for many years. 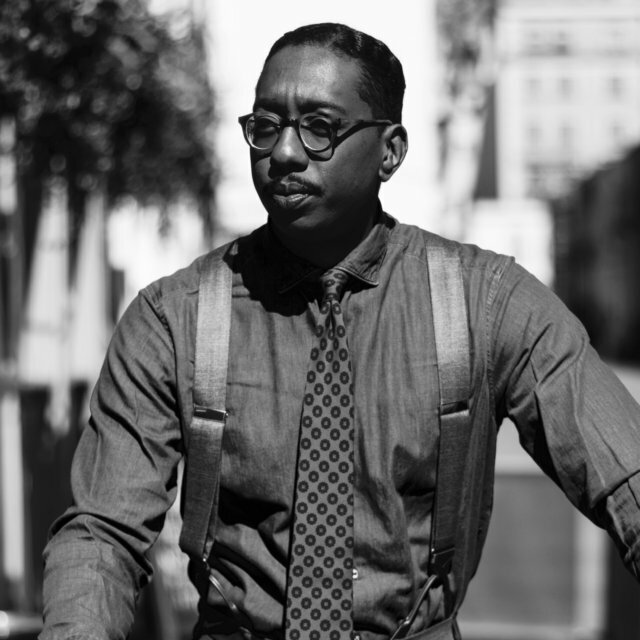 Trained in Savile Row, Jean will be hands on with the American customer base and concerned with the businesses growth. It would be my family signet ring from India. My father was given it by my grandfather when he turned 18 (for he was now a man) and to me when I turned 18. I wear it everyday as it reminds me of my heritage. My father’s Savile Row suit which he had made in 1989 in a Navy Fresco (Cloth by HFW). Not only does it look and fit me lovely but it is a reminder that a Savile Row bespoke suit can last a lifetime if properly looked after. What is your favourite cloth? Fresco, for the above sentimental reason but also because it drapes and breathes so well. Any tips for buying a Savile Row bespoke suit? Keep it simple because if you look after a Savile Row suit it will last you a lifetime. You aslo don’t want your suit to look dated in 20 years time, so keep style choice simple. You can never go wrong with classic styling and fabric. For me, academics and authors of the past provide me with the best reference point, for they dressed so classically . F.Scott Fitzgerald was a fantastic dresser who personified American prep of the 1920’s and 1930’s. From a European perspective Kafka should be read but also admired for his sense of style. Ian always had a passion for tailoring, one that runs through his blood; starting with his mother who made clothes for our Queen. But prior to starting Cad & The Dandy, Ian was a banker and his search for the perfect suit led to starting one of London’s most successful Savile Row tailors. A charcoal bespoke double breasted suit because it is quintessentially English. I thoroughly enjoy my navy blue suit by Hardy Minnis, from their QZ bunch because it combines the luxury of Super 150’s yarn with the durability of British cloth. Trust your tailor because it’s our job to make sure you look great. In general, Winston Churchill has always been an icon for me as his dress sense was impeccable. He had a wonderful ability of mixing English cloth with unique designs while still managing to be timeless. 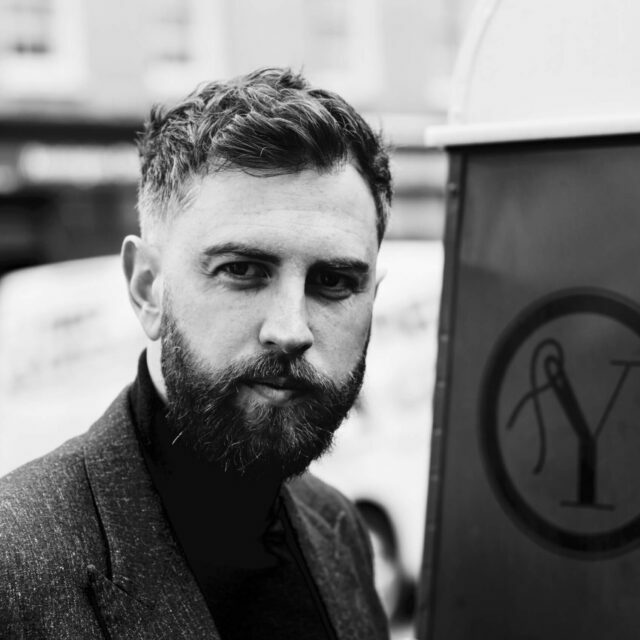 James co-founded Cad & The Dandy over ten years ago with the intention of creating great suits that resonate with traditional and younger customers alike. Ten years later, Cad & The Dandy is an international business with a reputation to match. My gillets. I find them to be hugely practical but also look great. I like the fact that they are both perfect for the city and country. They are one of the most unique garments we make and are the perfect blend of form and function. I like city tweeds, the weight is suitable for at least 3 seasons and the combination and variety of colors mean they make up for the perfect sports coat but also worn as a two or three piece the cloth gives the outfit a point of difference from anything you can buy off the rack. There’s a line in the film ‘A Good Year’ which says “never underestimate the importance of a good blue suit”. From all of my experience these don’t start life as off-the-rack garments. These start life being crafted by a tailor. So find a tailor, have him make you a blue suit and you will never look back. Paul Newman and David Niven from the big screen and but overall I like and admire people that can blend and create the definition of smart casual – it’s too easy to put on a T-shirt and look like a kid. I think men should dress as men. John Baker joined Cad & The Dandy back in 2009, as a fashion design graduate from the University of the Creative Arts. 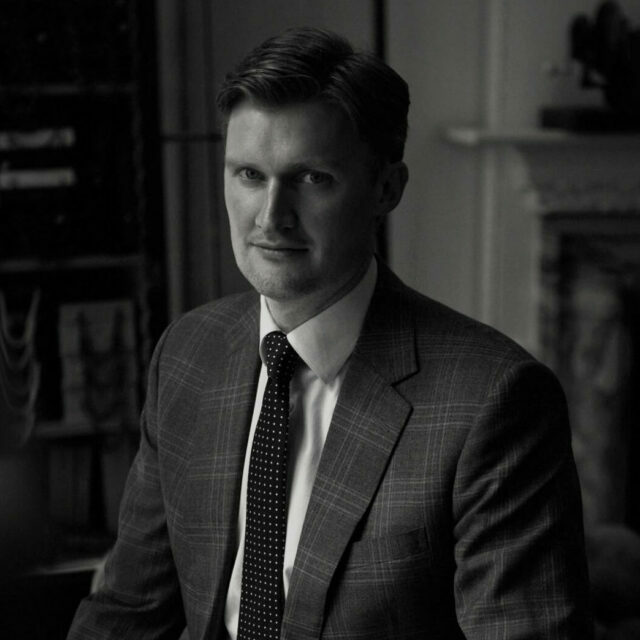 He started his career in womenswear but soon realised that he preferred the structure and heritage of Savile Row bespoke tailoring. John has a very distinct style and enjoys mixing his extensive collection of bespoke suits, tailored shirts, custom made separates and structured overcoats. Probably my antique Victorian bloodstone, hand engraved signet ring and my grandfather’s vintage gold watch. Which perfectly complement each other. I am constantly thinking about my next suit, so my favourite tends to be whatever my most recent choice is, at any given time. Currently, I’m loving my casual cotton and linen two piece suit. It’s made up in a denim look cloth from Loro Piana. Equally stylish when worn with a polo shirt or crisp white bespoke shirt, it makes for the perfect relaxed work suit or sharp weekend wear. There are too many to list and it changes constantly but, as I’m writing this in summer, I would have to say that I love the Italian wool, silk, linen mixes. They have such great texture and relaxed look – perfect for wedding suits – as they don’t crease excessively plus they are very breathable. Do your research first, right down to the individual tailor. Everyone has their own views on style and how they want their suits to look. This personal element can often be missed, as sometimes people can be led by what their fathers or grandfathers tell them. As a rule, we don’t advocate following fashions as certain trends will clash with ethos of tailoring as a whole. However, it’s important to remember that your individual style will continue to evolve, along with things like cloth technology. Style changes and but at the moment I’d say Ricardo Tisci, the former head designer of Givenchy, because I like the way he mixes street style with elements of tailoring. But, ask me again in a few years and it will be someone completely different. Thats what I love most about clothing; the constant change. 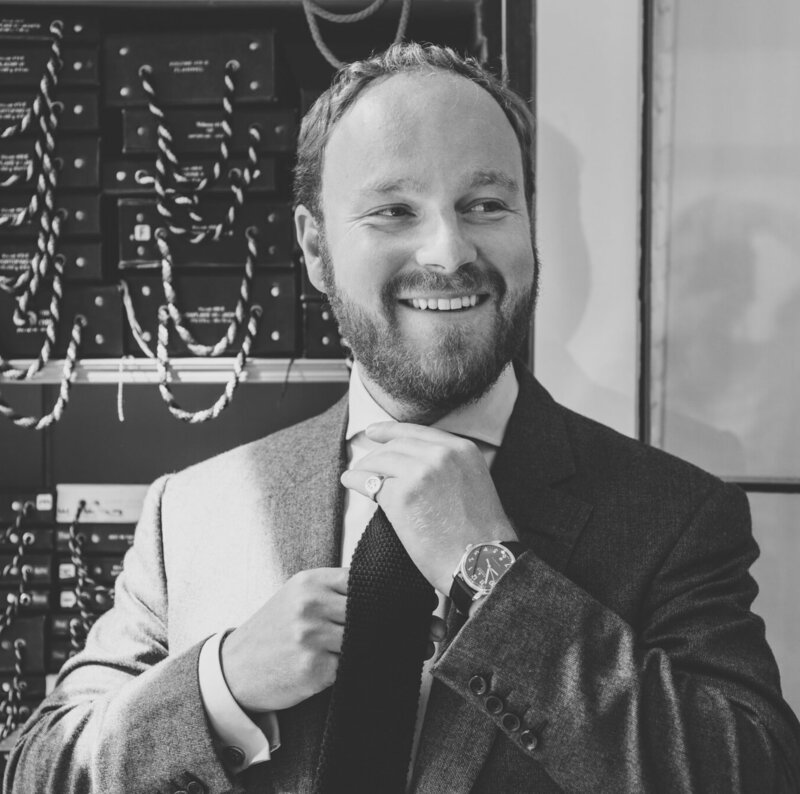 Stephen brings a wealth of tailoring experience, extensive knowledge and Savile Row pedigree to the bespoke team at Cad & The Dandy. Having spent his earlier career with Anderson & Sheppard, Huntsman and Norton & Sons , Stephen is an invaluable source for customers. A well cut bespoke sports jacket can be worn anywhere with anything – smart or casual. For me, this is the most versatile garment in a man’s wardrobe. Dress it up or down. Fresco – an open weave cloth. It keeps the wearer cool, drapes well and is hardwearing but it can be a challenge to handle when making up. If buying your first suit, keep it classic and keep it simple. Keep your focus on the fit and the cloth choice. A 12-13oz mid weight cloth is good choice for an all rounder. And tips for building a Savile Row bespoke tailored wardrobe? Start simple and classic. One mid-dark grey bespoke suit and one dark blue bespoke suit are good staples. After that points you can build a variety of tailored garments from tweeds, checks, stripes, linens, etc.